Yes, your worst nightmare is a reality. “It was a full grown cockroach,” Dr. M.N. Shankar, the head of the ENT department at Stanley Medical College, told the The New Indian Express. The living, full-grown roach—which apparently crawled up the woman’s nose—was stuck inside her head for twelve hours. “Whenever it moved, it gave me a burning sensation in my eyes,” she told the Express. Of the roach in question, Dr. Shankar said, “It was alive. And it didn’t seem to want to come out.” It took 45 minutes and “a combination of suction and forceps” to finally remove the living nightmare from her skull. 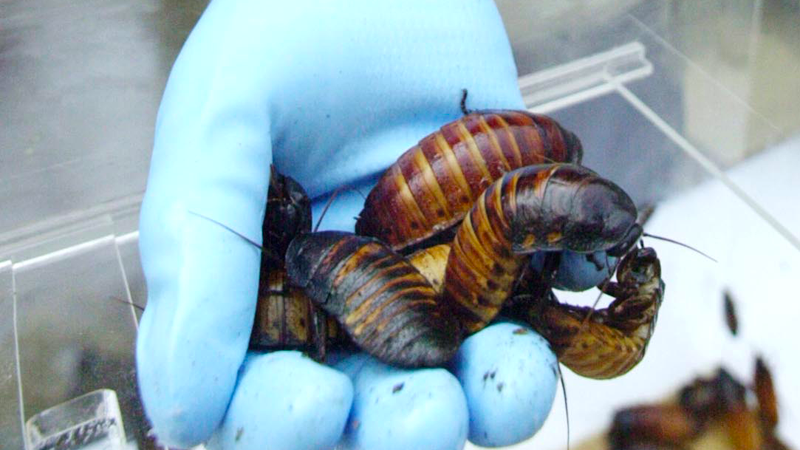 But don’t worry—while a giant cockroach up climbing into your body through your nose might be a rarity, they seem to crawl into ears frequently enough. So what if it happens to you? You’ll likely experience ear pain and hearing loss. The Mayo Clinic warns that you shouldn’t try to get it out by probing it with a Q-tip, which puts you at risk of damaging your middle ear and pushing the bug in further. The University of Rochester Medical Center recommends you try tilting your head, and flushing your ears with water or oil. If that doesn’t work, go to the doctor. Good night, and good luck.